A good library is a key to the growth of an educational institution. Being the heart of the academic centre of IMT-Nagpur, LRC understands well the fundamental importance in promoting lifelong learning and improving the knowledge, skills and competence of its academic community. 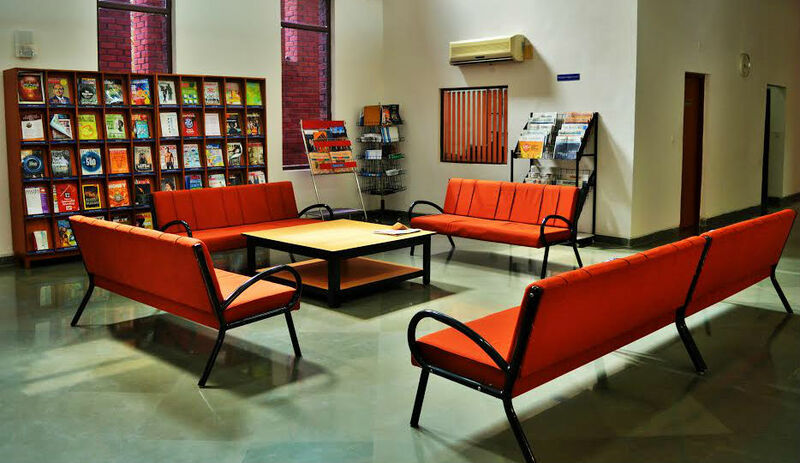 The Institute has from its inception had a Learning Resource Centre of exceptional quality and it has ever since strived to improve the high standards of the facility. 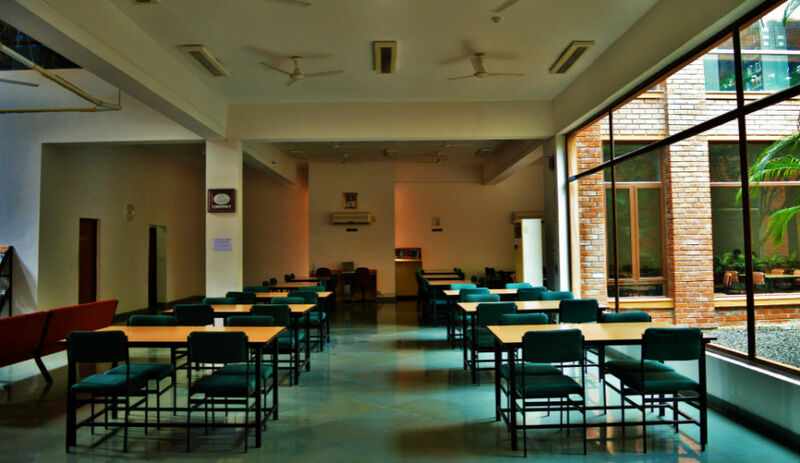 Connecting both students and faculty with the global resources of knowledge, the LRC continues to adapt to the challenging new demands and provides a professional and conducive learning atmosphere for the empowerment of its users. 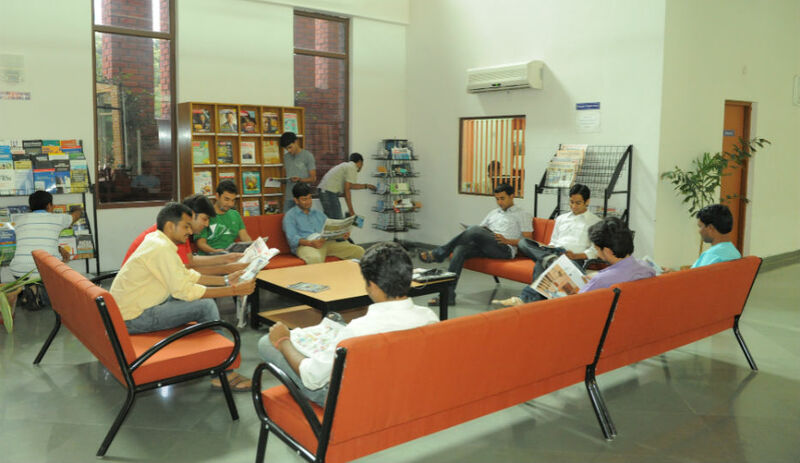 The LRC has a rich collection of Books, Journals, e-Journals, corporate & industry information and country research databases such as ABI/INFORM Complete (Proquest), EBSCO Business Source Complete, Sage Management Journals, J-GATE, JSTOR, Science Direct, CMIE Databases, Legalpundit, Indiastate and many more to fulfill research and teaching need of the academic community. The LRC is fully Wifi-enabled. LRC also extends their services to outside users i.e. individual, institutional and corporate houses with 'external membership'. Those who intend to use the LRC facilities are required to enroll themselves as members by filling the prescribed form. The form must be recommend or approved by the respective Head of the Department. The LRC Card issued to the registered members is strictly non-transferable. The Card shall be issued in laminated form. The date of validity shall be indicated on the Card. While entering the library, users should leave their personal belongings such as bags, personal books etc. at the counter reserved for this purpose. Users leaving the library should permit the library staff to examine their personal belongings, if asked. IMT library follows an open access system, books and other material taken from the library stacks should not be re-shelved by the Users. These should be handed over to the library staff on duty. Remember, a book misplaced is a book lost. The member would satisfy himself/herself before leaving the issue counter as to whether the book is in sound condition or not. Otherwise he/her may be responsible. Users of the library should not deface, mark, cut, mutilate or damage the reading material in any way. Persons doing so are liable to be fined heavily, apart from being asked to pay the cost of the damage. In case a person repeats the offence a second time, his/her library card would be impounded and the membership terminated summarily. All members are requested to behave with decency and decorum. Any irregularities may kindly be brought to the notice of Librarian for necessary action. Decent dress code is needed inside the library. Minimum fine of Rs. 250.00 plus suspension of library cards for a period of one month. On re-occurrence of the act, minimum fine will be Rs. 500.00. Minimum fine of Rs. 500.00 plus suspension of library cards for a minimum period of one month. On re-occurrence of the act, minimum fine will be Rs. 1000.00. Minimum fine of Rs. 1000.00 or Actual Cost of the book plus suspension of library cards for a minimum period of One trimester. On re-occurrence of the act, minimum fine will be Rs. 10000.00 and other disciplinary action may be initiated. All enrolled Students, Faculty, Research Associates, Research Scholars, Officer, and Staff. Monday to Sunday - 24 Hrs. Online Databases – Most of the e-resources are IP authenticated, and you can access the same from anywhere within the IMT-N campus. For more details about online databases, please visit the library website under the Digital Resources menu. User can recommend a book for purchase by filling- in a ‘BOOK RECOMMENDATION FORM’ that can be obtained & submited to the Circulation Desk or can be downloaded from library link. Online Journals may be referred through the library web page under the Digital Resources E-Journals menu. How to request the article/s which is/are not subscribed by the library? How to request the Book/s which is/are not available in the library? You may send an e-mail at nkude@imtnag.ac.in or library@imtnag.ac.in citing the details of the book's. Every Month library sends an email regarding the newly added book list, and you can also find the same on the LRC downloads page. How can I renew a book/s? You can renew a book/s through the visit library circulation counter. Also through OPAC for single attempt. You should immediately consult the circulation desk to know the book detail and then consult the Acquisition Section for the replacement or payment of the book. 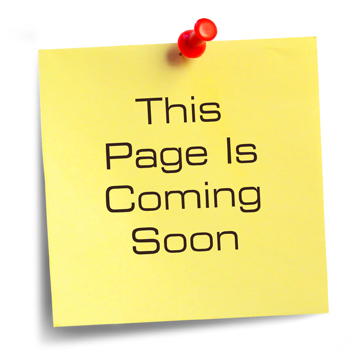 You can reserve books yourself using OPAC. Further, you can ask circulation staff for the accurate guidance of the Reservation Process. You can carry own books to the library by making necessary entries in the daily log register. You are welcome to donate the books to the Library. Donated books will be cataloged under the gratis category. Accepting the books on donation is subjected to suitability as per collection development policies of the LRC. What are the basic library rules? Maintain a quiet study atmosphere. Silence must be observed in the LRC at all times. No bags or cases are permitted into the LRC. The LRC is not responsible for any loss or damage of personal belongings. Use of mobiles inside the LRC is strictly prohibited. No material from the LRC should be taken out without proper issue. Taking the book(s) without adhering to the procedure will invite disciplinary action. The lost or mutilated book should be brought to the notice of LRC staff immediately. All the online resources, CD-ROMS, Educational Videos from LRC IMT-N are copyrighted works. Hence, copying, publishing, disseminating, displaying, performing, or playing without permission of the copyright holder (except by the fair use of licensed agreement) is not allowed. The LRC may terminate the library access to users who are found to have repeatedly infringed the copyright of others. All listed Online Databases on the LRC website are restricted by license agreement to members of the IMT-Nagpur community for the purpose of research, teaching, and private study. Commercial use, systematic downloading, copying or distributing of information is prohibited. The users are requested to comply with these terms strictly. The book collection of LRC includes books and reference resources. They are housed in stacks in the Ground Floor & First Floor and are arranged as per Dewey Decimal Classification. Each book is assigned a number pasted on book spine, representing the subject and arranged in ascending order in open shelves. Some collection (Training Manuals and Educational Videos) is in closed shelves and please contact circulation desk to refer them. Use OPAC to browse and search the book collections. Books in the library are arranged in classified order System. After locating an item in the OPAC, the screen will provide the call number for the item. The call number is the “address” of the book on the shelf. Thank you for the enquiry with us!